OK. I have just secured the following copyright: "The Official Senior Texting Stylebook©." SENIORS TEXTING CODE.....ATD..At The Doctors. BFF..Best Friend Fell. BTW..Bring the Wheelchair. BYOT..Bring Your Own Teeth. FWIW..Forgot Where I Was. GGPBL..Gotta Go Pacemaker Battery Low. GHA..Got Heartburn Again. IMHO..Is My Hearing-Aid On. LMDO..Laughing My Dentures Out. OMMR..On My Massage Recliner. ROFLACGU....Rolling On Floor Laughing And Can't Get Up. TTYL..Talk To You Louder. Only other cat in the world other than my George that played in water! 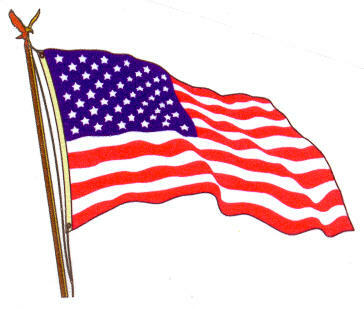 LINK TO "WE STILL PRAY"
The American flag is the greatest national emblem to ever fly over land or sea or in outer space. It is the symbol of visions, of dreams, of the hopes of all who have come to America seeking liberty. To Americans, it is a living symbol, the very soul of our nation which announces who we are, what we believe in, and what we stand for, namely Freedom, Duty, Responsibility, Justice. It represents our right to choose our friends, our vocation, our church, our politics, to fail or to succeed -- all without any unlawful interference or fear of punishment. "Imagining what would happen to our economy if the Federal Government had taken the $1T of bail out dollars that is lost in the wash, and divided it among the 105,480,101 US Households, (2000 Census Numbers) for a $10K share per household.....hmmmmmm????"